Fashion is cyclical, so trends appear, disappear and reappear all the time. For Spring 2019, we’re saying hello to some old friends, like polka dots, tie-dye, scarf prints and fishnets and giving them a relevant twist. We are also seeing gorgeous neutral tones and pops of a luscious golds that hit the runways and will soon be making their way into our closets. Neutrals are always a go-to, but this season they’re making a statement. You’ll find tops, trousers, jumpsuits, dresses, shoes and accessories all in the most quintessential shade of beige. The hottest beiges were on the runways of Mara Hoffman, Max Mara, Tom Ford and Burberry. By acquiring several new neutral items, you’ll be able to create an iconic monochromatic look that’s trending this season. In Nashville, Gus Mayer always stays on top of trends and has stocked all the beige silhouettes of the season. If you like a little more color in your life, this sunny hue may be the one for you. 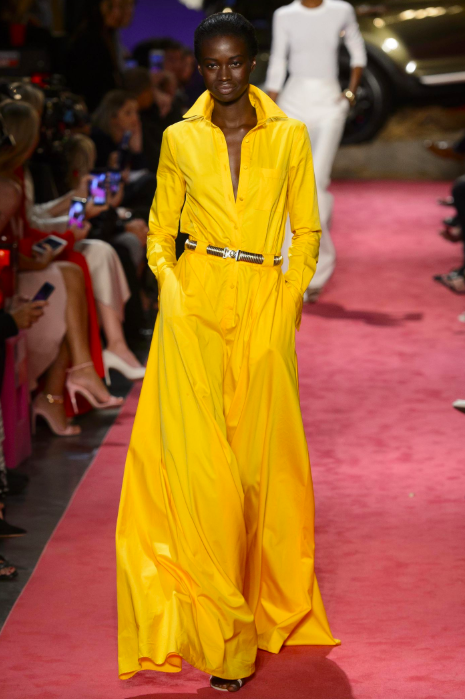 Brandon Maxwell and Carolina Herrera showcased ideal yellow moments on the runway last September, but you can recreate them right here in Nashville this Spring. Throw on a pair of golden high-rise wide leg trousers for a coffee date in Brentwood or slip on a bold yellow dress for a stroll through 12th South. While you’re there, pop in Emerson Grace to snag all your springtime yellow essentials before your next outing this season. Rather than being confined to styling a 10 x 10 square, we now see this print in tops, dresses, and skirts, which allows for much more outfit versatility. 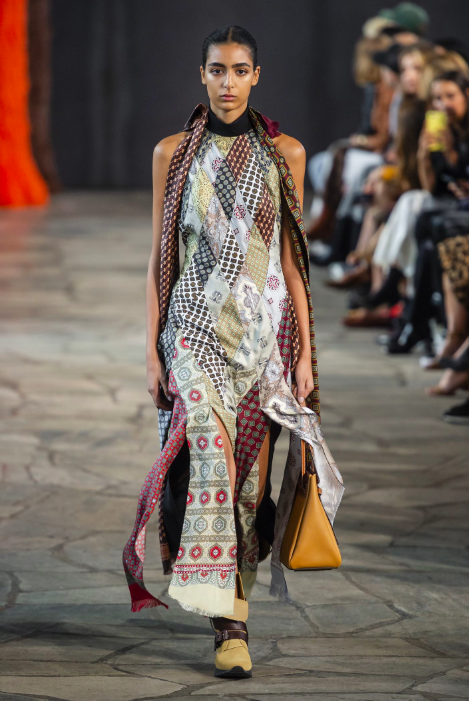 Etro, Chloe, and Loewe exhibited tear-worthy ensembles of the scarf print that everyone will be trying to recreate for Sunday brunch at Josephine. H. Audrey is Nashville’s go-to for fun and on-trend pieces with the season’s hottest prints. The classic, Parisian look is back, ladies (or did it ever even go anywhere?). 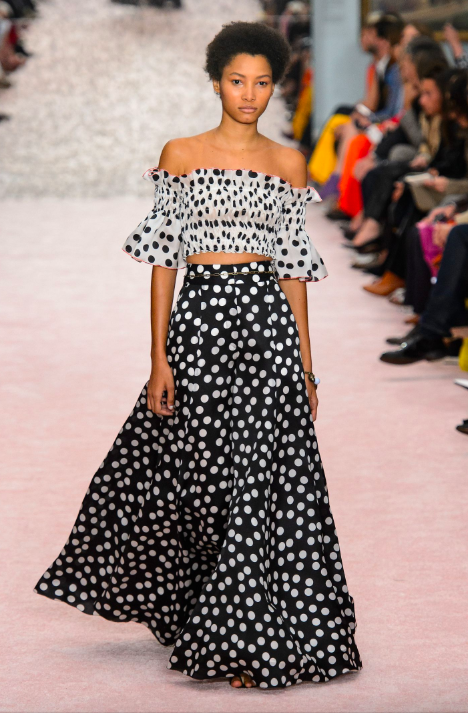 While Carolina Herrera showed a beautiful mix-and-match polka dot set on her runway, Simon Porte Jacquemus sent a stunning asymmetric micro-dot dress down his catwalk. Between the two, everyone was on board for this familiar print’s epic return. The best news? This trend can be worn almost anytime, and anywhere. Just run by E. Allen and pick up all the polka dots your heart desires. This trend was a bit more unexpected, but we’re here for it. Large scale fishnet dresses, skirts and tops are all here for this Spring/Summer, and it’s one of the classiest trends this season. You can’t go wrong layering this texture over a slip dress, a co-ord set, or your favorite swimsuit for your trip to 30A. Some of my favorite takes on this trend came from the runways of Louis Vuitton, Area, Phillip Lim, and Dior, but you can snap up your pieces here in Nashville at Hemline. Happy Spring, and happy shopping. Jami-lyn Fehr is a photographer and content creator with a high fashion focus. She completed her BFA in Fashion Merchandising at Belmont University and is in the process of obtaining her Master of Marketing from Vanderbilt University. She actively keeps up with fashion industry news and thrives during “fashion months” September and February. 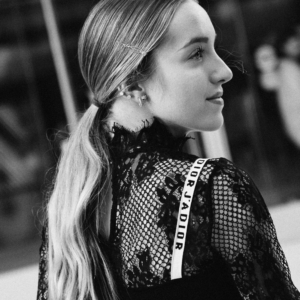 Outside of fashion she loves hockey, eating great food and travel. Oh, and her style icon? Blake Lively.